Board certified in dermatology, Dr. Kerry Shaughnessy attended Harvard University, where she graduated with a degree in biochemical sciences and received the William Fahey House award. She earned her medical degree from Eastern Virginia Medical School, where she was elected to Alpha Omega Alpha honor society. 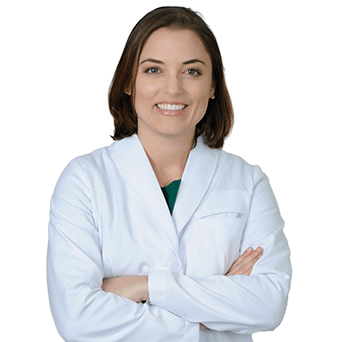 Dr. Shaughnessy completed her dermatology residency at the Medical College of Georgia, where she was chief resident and served on the MCG Laser Committee. She received additional training in cosmetic dermatologic surgery and laser surgery under the direction of David H. McDaniel, MD and James H. Carraway, MD in Virginia Beach, Virginia. Dr. Shaughnessy has authored peer-reviewed articles in the Journal of the American Academy of Dermatology, Archives of Dermatology, International Journal of Dermatology, and Pathology Case Reviews. In her free time, Dr. Shaughnessy enjoys boating, Pilates, and spending time with her family.